Time again to update my personal pound-for-pound ratings. I do this every three or four months to get a gauge on just how the game's elite stacks up with each other. Is it a subjective ranking? Yes, but I try to be as objective as possible in doing them. After all, it's hard to compare a featherweight with a middleweight and then subsequently a heavyweight. And the criteria can change based on who is doing the ranking. The original concept of 'pound-for-pound' was created for the great Sugar Ray Robinson who was being overshadowed in the era of Joe Louis. Of course there was no way even for Robinson to take on 'the Brown Bomber' but the pound-for-pound designation was to honor Robinson for his overall skills, which were the best in the sport. My personal criteria includes: skills, strength of opposition, achievement and some good old-fashioned intuition. Yeah, it's somewhat like the controversial BCS system that has plagued college football, but no computer geeks that don't even know football are involved. These rankings come from what I've seen with my own two eyes. 13- Lennox Lewis: For all intents and purposes he is the undisputed heavyweight champion of the world and while he'll never be a universally beloved prizefighter, it's hard to take away from his accomplishments. 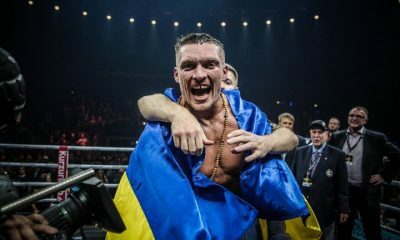 Outside of a few months last year, he's been a titlist since 1997 and has defeated the likes of Evander Holyfield when he was considered the games premiere heavyweight. Yeah, I know he's lost to two journeymen in Oliver McCall and Hasim Rahman, but he's avenged both losses. Lewis, when motivated, has a sharp jab and a big right hand. But it says right here that his legs are fading and he is vulnerable against either Klitschko brother. 12- Tim Austin: I'm a big advocate of the 'Cincinnati Kid' but it's hard to put him any higher than 12(and some would argue he shouldn't be here at all) because while he's been a titlist for over five years, can you name his biggest win? Didn't think so, because outside of Adan Vargas he's taken on a collection of IBF mandated no-names. But with that being said, he's a skilled craftsman who can really box and because he's in a division where African-American fighters have a tough time making money, he's been avoided. Also, having a promoter in Don King that routinely puts him on the shelf doesn't help his cause. His February fight against Rafael Marquez will be among his toughest challengers. 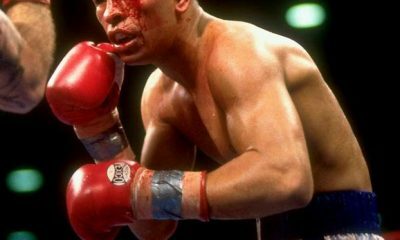 11- Jose Luis Castillo: This Mexican tough-guy drops a little bit after his second loss to Floyd Mayweather, but many thought he did enough to get the verdict over 'the Pretty Boy' the first time around. He may look crude, but he's a guy that is pretty well schooled and he has plenty of experience. And he is tough as a boot. 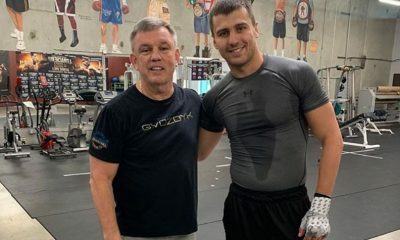 He's gone 24 nip-and-tuck rounds with the respected Stevie Johnston, stopped Cesar Bazan and had Mayweather running from him in their rematch a few weeks ago after a tough first encounter. Castillo downs any other 135-pounder easily. 10- Erik Morales: I gotta give it to 'El Terrible', throughout 2001 I thought he was a spent bullet and that Marco Antonio Barrera would get him out of there. Instead, he was the aggressor throughout the night and many believed that he did more than enough to get the decision the second time out. Then in November he would put the game, but out-gunned, Paulie Ayala through the meat grinder in an impressive 12-round performance. 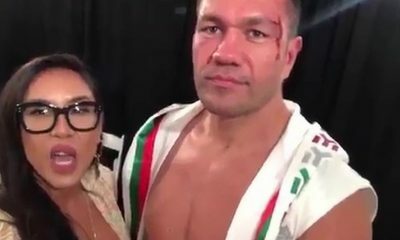 He's not the smoothest or prettiest fighter to watch, but all he does is win (or give guys like Barrera hell) and prove that he is one of the sport's best featherweights. 9- Floyd Mayweather: It's been said of prodigious talents like Mayweather, that they themselves are the only ones that can beat them. Well, in the case of 'the Pretty Boy' that was almost the situation in 2002. It seems that past few years that we read more about his personal problems or squabbles with his promoter than his performances inside the ring. And now it looks like he's got a brittle body as he's complained of having bad hands and he also talked of a sore shoulder after his first bout with Castillo. All these factors have affected his performance, because the fighter that dominated the likes of Genaro Hernandez, Angel Manfredy and Diego Corrales at jr. lightweight simply doesn't exist at 135 pounds. He's still very good- but it doesn't seem he's as good as he likes to tell us. 8- Shane Mosley: At this time last year we were all comparing him to the likes of Ray Robinson and Ray Leonard, now he's a question mark because of his two losses to Vernon Forrest who seems to be his achilles heel. 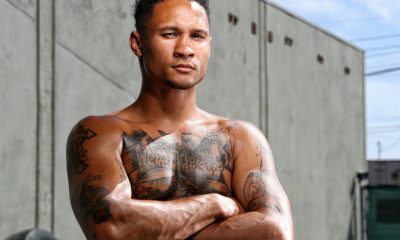 Some in boxing are wondering if Mosley has seen his best day but I need him to have a bad day against someone other than Forrest to convince me. 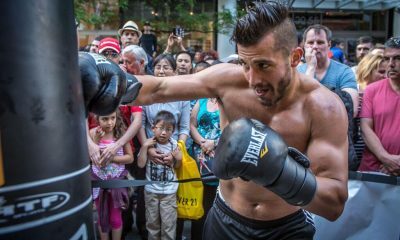 If he does the expected against Raul Marquez on February 8th, I think he gives Oscar De La Hoya hell in September – again. He may never beat Forrest, but he might always beat De La Hoya. TIE- 6- Vernon Forrest and Oscar De La Hoya: It's hard to separate the two – who were teammates on the 1992 U.S. Olympic team – while Oscar has a better overall resume, Forrest himself is undefeated and has two wins over Mosley. And a fight between these two would be a dead-even fight. Both have good jabs, with Forrest having the superior right cross and De La Hoya having the better left hook. Forrest is bigger than De La Hoya, and the edge in speed and quickness would go to Oscar. So with that, I rank them even. 5- Kostya Tszyu: Just look at his recent run: a win over WBA titlist Sharmba Mitchell, a win over solid contender Otkay Urkal and then a knockout of IBF King Zab Judah. 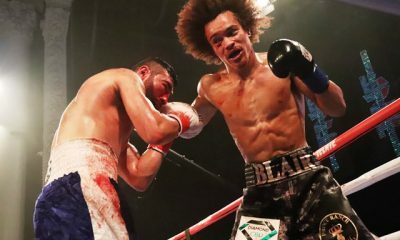 Then in his first defense as the unified jr. welterweight champion he took on the rock-solid Ben Tackie and basically shut him out over 12 rounds. Tszyu is a sharp shooting, boxer/puncher who is tough as nails and disciplined. He's in a deep and fertile weight class but it's gonna take a helluva fighter having one helluva night to take 'the Thunder from Down Under'. 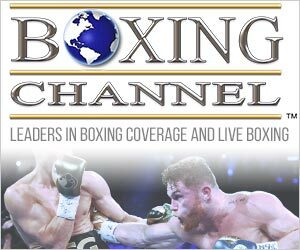 4- Roy Jones: Yeah, I know this may raise a few eyebrows and there is no way I'm debating this man's natural skills but this is like the mighty Miami Hurricanes playing in the Big East and not taking on the likes of FSU, Tennessee and Florida. That's basically what Jones has done for five years as he has taken on one mis-mandatory defense after another while hiding behind a plethora of title belts. 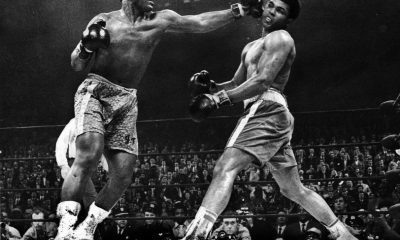 As for his challenge of John Ruiz, I guess it's impressive and all, but the last I checked, guys like Bob Foster and Archie Moore, when they moved up to fight heavyweights, took on the true heavyweight champions. They didn't hand pick a guy that just happened to have a title that they thought was easy pickings. 3- Marco Antonio Barrera: Will the real Marco Antonio Barrera, please stand up? Y'know, the one that had barn-burners against the likes of Kennedy McKinney, Jr. Jones, Erik Morales and to a certain extent Naseem Hamed. Suddenly, this guy fancies himself as a patient counter-puncher that no longer feels the need to come forward, dig to the body and exchange at will. He managed the impossible by turning his rematch with Morales into a chess match. Good grief. I admit, it's a safer way to fight, it'll prolong his career, but it's just not the same. But with that being said, I never said it wasn't effective, as he's currently on a winning streak that includes: Hamed, Enrique Sanchez, Morales and Johnny Tapia. 2- Bernard Hopkins: Since disposing of Felix Trinidad in September of 2001, 'the Executioner' has done lost his mind – and seemingly every ally he ever had. But make no doubt about it, the man can flat out fight and is among the all-time great middleweights. But on the flip side, he has lost all the momentum from his huge win and the Cinderella story is no longer there. In many circles he is a pariah, but maybe he likes it that way. Since the Trinidad win, he's fought once – a stoppage of mandatory challenger Carl Daniels in February – and he isn't getting any younger. Will he continue to negotiate his way out of big fights? We'll see. 1- Vacant: Yup, you read that right, if the sanctioning bodies can have a vacancy so can I. The bottom line here is that while there are still plenty of great performers, at this moment, no one has done enough or separated himself from the pack to merit selection as my 'Bakers Dozen' top dog. Come back in a few months and we'll see how things shake out.